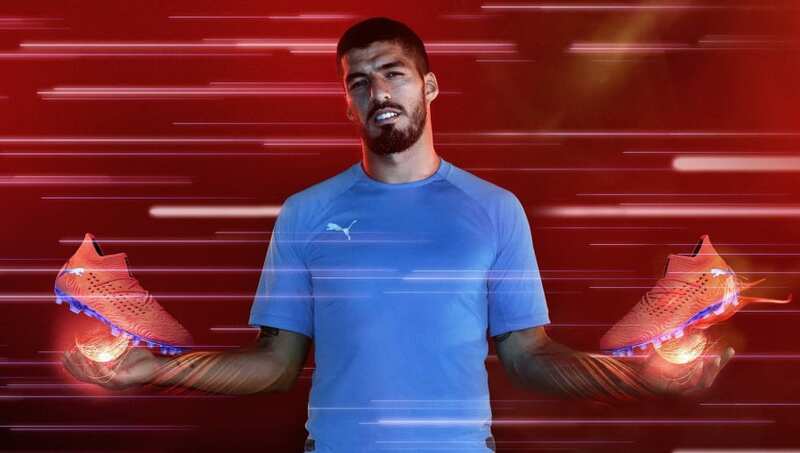 ​Puma has launched the 'Power Up' pack to be worn by Antoine Griezmann, Sergio Aguero, Luis Suarez, Romelu Lukaku and Marco Reus, designed to merge the real world of football and the virtual world of gaming as players 'unlock new levels'. The new 'Power Up' pack updates both the Puma Future 19.1 and the Puma One 19.1 with blasts of red and flashes of blue, straight from gaming and arcade culture to inspire bursts of energy and creativity when the players are on the pitch. And both the Future and One feature all the latest Puma technology to deliver. Worn by Griezmann, Reus and Suarez, the Future in particular continues to evolve, with a refined system that combines 'NETFIT' and '3D Havoc Frame' into one layer that brings the foot closer to the ball for better overall fit, touch and stability. The One, meanwhile, continues to retain all of its original principles of perfecting every aspect that a player needs from a boot: fit, fast, feel, each delivered by unique design and engineering. Lukaku and Aguero will be among the players wearing the One. The 'Power Up' pack can be purchased exclusively from selected stores from January 11, before global release on January 15.